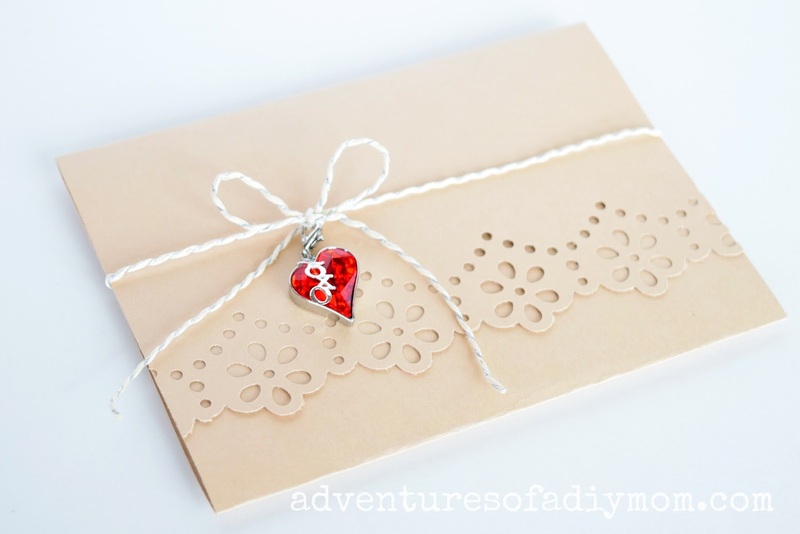 Have you received a thoughtful handwritten card lately? I was the recipient of such a card this last week and another earlier in the summer. It got me thinking about the power of the written word. One of the things my mom is really good at is expressing her thoughts to her family in writing. As a kid, I remember randomly receiving little notes of encouragement and love from her. Being able to have a tangible reminder of those thoughts is valuable to me. 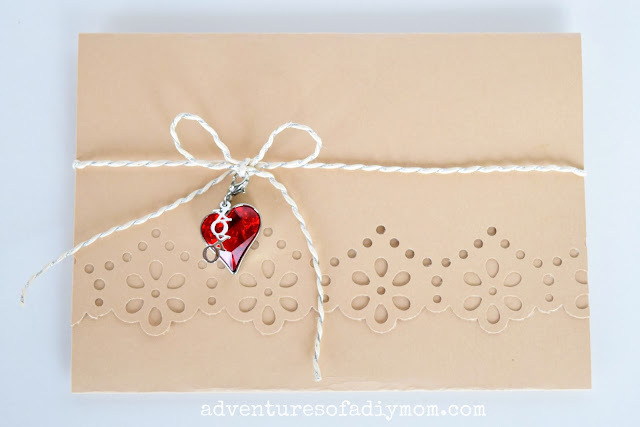 When paired with a handmade card, a note becomes even more thoughtful. So today, I'm going to show you a simple handmade card I came up with. I used to spend a lot of time making paper cards. I would stamp them, embellish them and make them super cute. I really enjoyed it. Then I had more kids... I simply don't have the time I once did to make elaborate cards. But don't worry - this card will not take all afternoon. It will only take a few minutes. 1 - cut the cardstock to 5 1/2" X 11 1/2"
If you were to mail this card, you would of course want to insert it in an envelope. For hand delivery, it's perfect as is. Imagine the delight on a child's face as they see this on their pillow when they get ready for bed. The anticipation they will feel as they open it up to see what Mom has written. The tender feelings of love they feel as they read words written especially for them. I hope I can instill these feelings in my children as I try to emulate my own mother in writing notes to them. Do you enjoy receiving handwritten notes? Who will you write to?